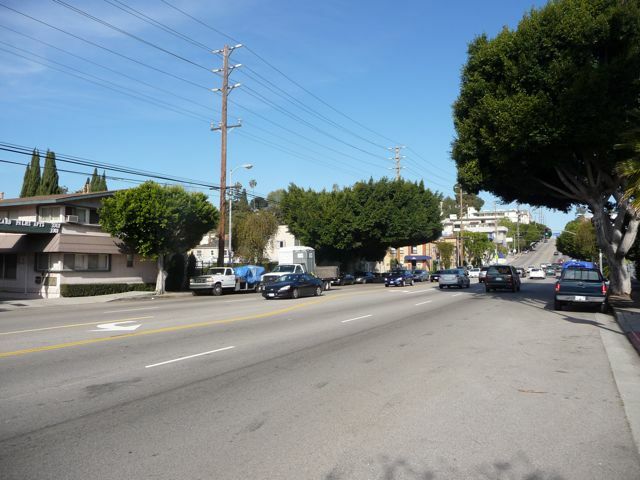 Los Angeles is home to thousands of small apartment buildings like the one above. This building is located on Overland Avenue in the westside neighborhood of Palms. There is something unique, however, about this building that gives it an "only in L.A." feel. No, it's not the Capri - as you'd expect. Not sure of any other way to pronouce it besides "crappy." Not sure what the owner (or builder) was thinking. The building doesn't look crappy. The cars in front don't look crappy. While Overland is a busy street, the neighborhood doesn't look crappy. As a Christian, I'm reminded that throughout the Scriptures names weren't about simply sounding nice, they actually meant something. Maybe it's time for the Crapi Apartments to get a new name. Just a suggestion. 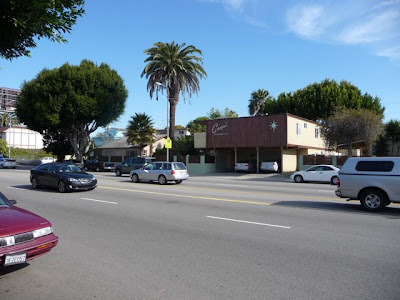 Located on the eastside of Overland Avenue, north of Palms Blvd, south of the Santa Monica Freeway. what in the world? was the guy who put this up drunk, dyslexic, or maybe English just wasn't his first language. And how many years has this been this? Classic. It's called the Crapi apartments on purpose for fun. Because the owners have a sense of humor. Because it's funny and interesting. Why does everything funny and different need to be changed? I'd imagine God invented irony too, right? 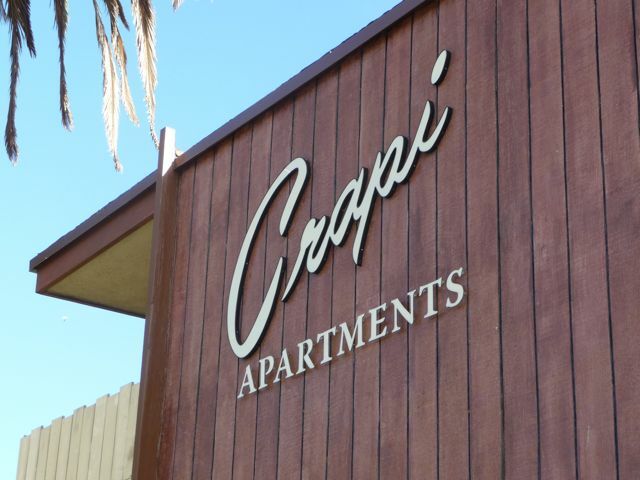 The irony, perhaps, is that there are a lot of crappy apartments in L.A. - the Crapi is not one of them. Obviously, the owners have a sense of humor! I wonder what their home looks like? Think the tenants must have a sense of humor, too (you'd have to). "why does everything funny and different need to be changed?" I live in Palms and drive by this building almost daily, but I've always seen Capri. "They" say the brain only reads the first and last letters and length of the word and it doesn't really matter what the mid letters are. 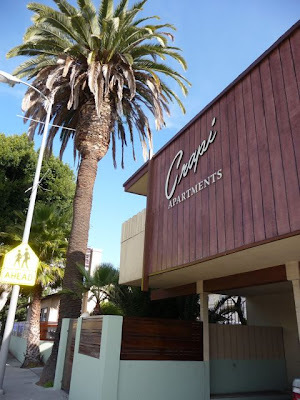 So even if the owners never change their apartment's name, many folks will continue to see Capri when they drive by! Here is an example of this: Airdoccng to a rsrechecah at Cadmrbige Ustvieriny, it deson't matetr in waht oedrr the lterets in a wrod are, the olny iemorptnt tinhg is that the fsrit and last letter msut be at the rgiht palce. The rest can be a ttoal mses and you can siltl read it wtuhoit ploberm. Tihs is bseauce the hmuan mnid does not read evrey letetr by itlsef, but the word as a wlhoe. This is from: http://www.perbang.dk/orcapia.cms?aid=76, where you can read the whole article. Very funny, now I have to go find it myself! In Seattle I used to drive by an apartment house called The Undre Arms. I pass this place every day. I took a pic a few weeks ago, and have been meaning to post it on facebook and twitter since then. Finally got around to posting it on facebook about an hour ago, which is about an hour before someone I follow on twitter re-tweeted a link to this article. Timing is everything, I suppose. While Nancy's point is very interesting, I always immediately pick up on misspelled words. Her posting actually drives a person like me crazy! Nevertheless, very neat. plural form of "female goat" in Sicialian dialect. Take a closer look...right around the corner on Woodbine is the CheeZee Apartments, owned by the same person with a swell sense of humor and great taste (the buildings very well painted and graphic design excellent)...They're the high point of that little neighborhood AND are right across the street from Scoops Westside (great ice cream and Intelligensia coffee) and the fabulous Western Smokehouse! 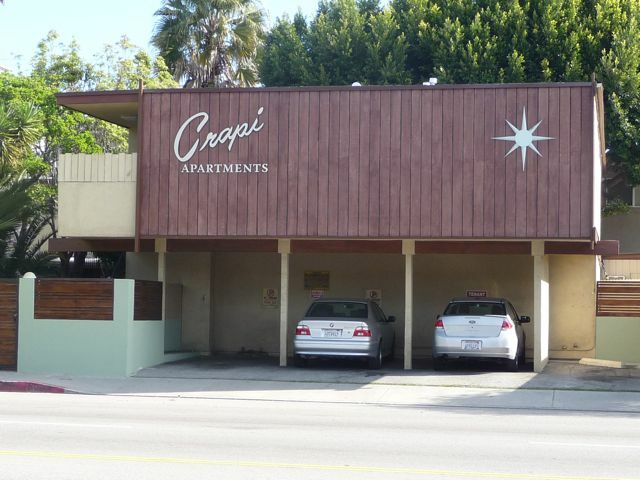 I grew up in this neighborhood - it definitely USED to be the CAPRI Apartments. I love that the new owners had the sense of humor to pay the sign man to actually make the letters flow together correctly. 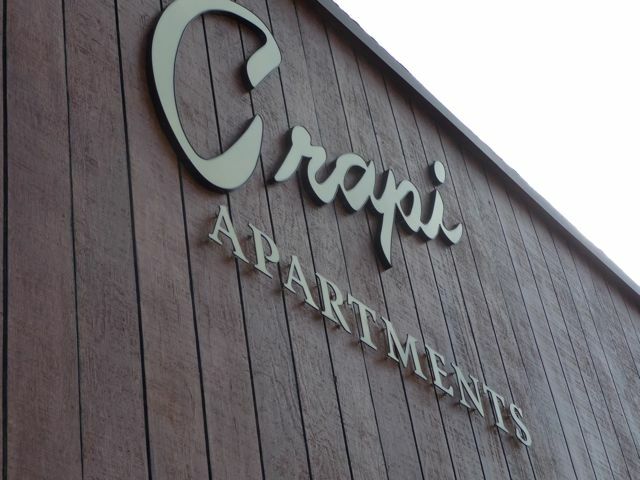 You can tell they didn't just switch the A and the R. This makes me laugh every time I drive by and I was delighted to find the CheeZee Apartments just around the corner! Did you notice that the CheeZee is managed by KRAFT? Ha ha, great local color in what has for eons been a pretty boring neighborhood.